Browser Support: IE (Internet Explorer 8+), Firefox, Google Chrome, Safari. 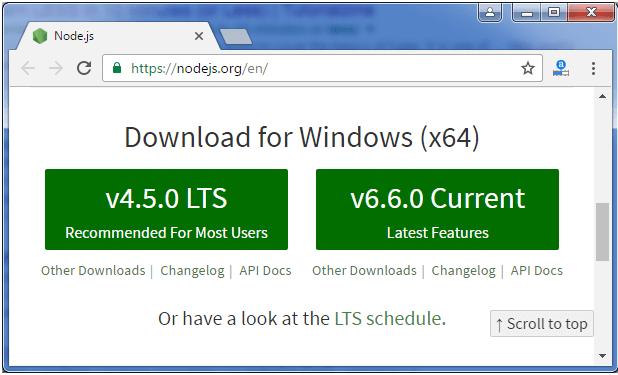 Users need Node.js to run Less examples. 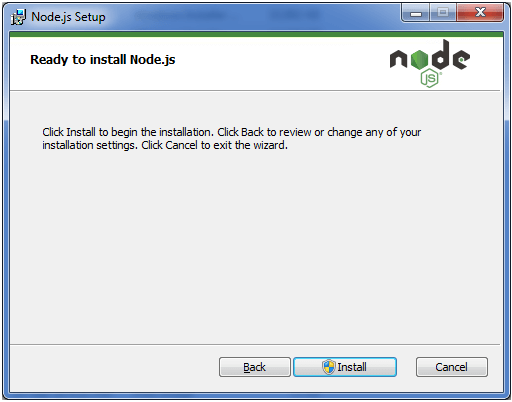 You must have to install Node.js to run Less examples. 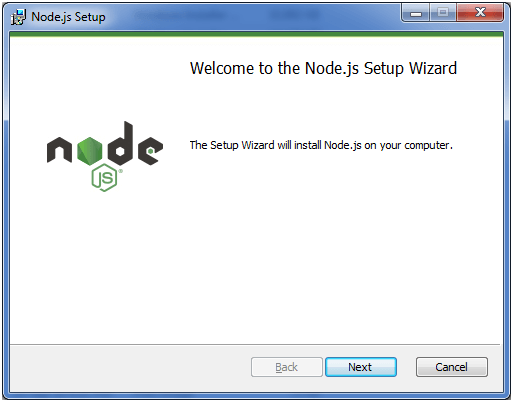 Go to the link https://nodejs.org/en/ . You will get a page like this. 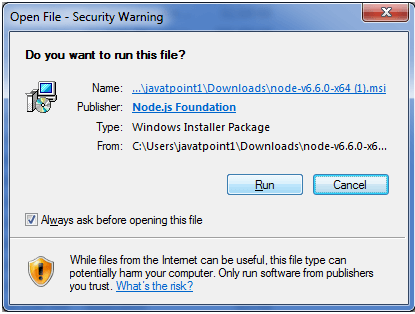 Download the current version with latest features and run the executable file. Go ahead according to the instructions. 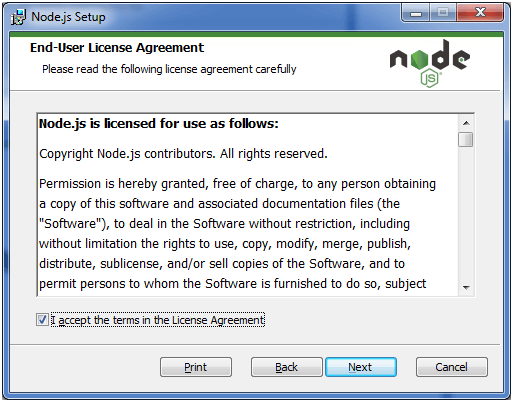 Accept the terms and license agreement. 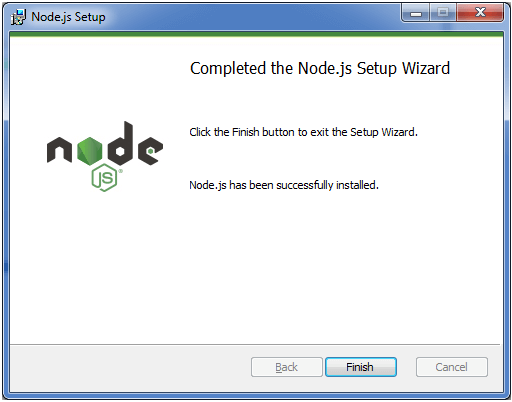 Node.js installation is completed now. 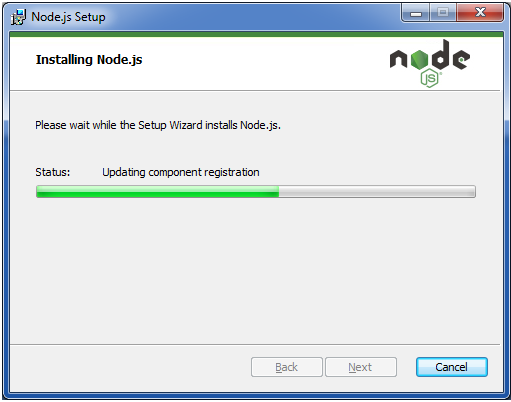 Install less on the server via NPM(Node package manager). 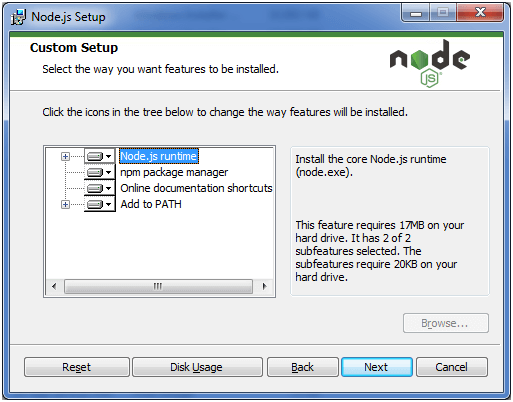 Execute the command "npm install -g less"into the command prompt. 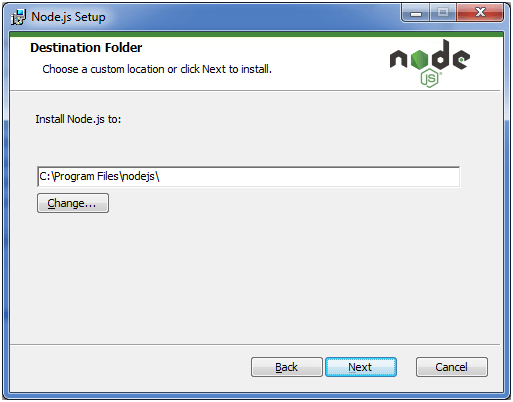 After successful installation of Less you will see the following line on the command prompt.